Daniel has over twelve years of public and private accounting experience. Daniel worked for a local accounting firm in Charlotte, North Carolina before moving to Augusta to join Club Car where he held positions of increasing responsibility including Accounting Manager and Financial Planning & Analysis Manager. Daniel previously worked for a volume homebuilder and a wireless tower company. He enjoys utilizing his unique combination of public accounting experience, where he served individuals and closely held businesses, and corporate accounting experience, which included process improvement initiatives, to create value for his clients. 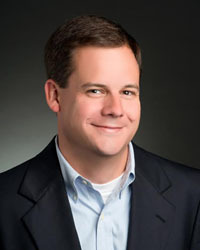 Daniel earned his bachelors degree from Georgia Tech with honors and his MBA from Augusta University. He has been a licensed CPA for ten years and currently holds active licenses in Georgia and North Carolina. Daniel enjoys playing golf and spending time with his family. Daniel and his wife Melissa have two children.